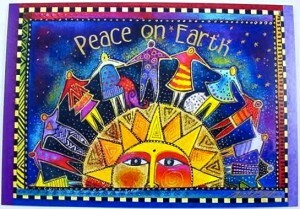 What homegrown Christmas carol was written as a pre-Civil War prayer for peace? Edmund H. Sears (1810-1876) was a Unitarian pastor and author in Massachusetts. He penned “It Came Upon the Midnight Clear” in 1849. The Mexican-American War had ended, but the question of slavery was tearing the nation apart. Sears’ world was weary, tense, and ugly with racial injustice and political discord. The Civil War was little more than a decade away, but the pastor could foresee the day when blood would drench the orchards, fields, and streets of America if slavery wasn’t abolished soon. 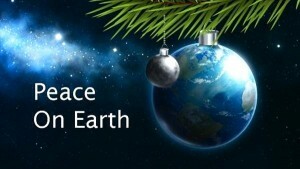 Peace on earth seemed impossible then, as it does now. Justice for the enslaved and the poor seemed a distant dream. Harvard-educated Sears didn’t mention Jesus by name in his poem, first published in the Christian Register, a Boston publication. 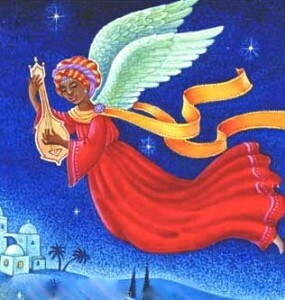 Instead, he imagined the sky over Bethlehem filled with angels, feathered and glowing, their “peaceful wings unfurled.” They had a crucial and comforting message, if we’d only listen to their song. Wars still rage and our nation is still divided. We are on a weary road, burdened by a disparity of wealth, a variety of prejudices, anxiety about our sick planet. We do our best to counter the craziness, but despair gets in the way. And here comes Christmas. The shepherds of our imaginations will again quake with astonishment, while we, embarrassed, will keep our doubts to ourselves, ashamed to admit that both angels and peace seem merely the whimsical stuff of pageants for innocent children. But wait! The last verse of Sears’ Christmas song turns the pageant productions upside-down with a dream of radical transformation. It not only conjures a vision of angels singing over our “Babel sounds,” but asks us to imagine a day when the people of earth will sing a song of peace back to the angels.